There’s a new word cloud generator in Web town, and it’s a pure delight if you’re into visualization technology, words or better yet, both. Its hard-to-remember name is Tagxedo and it was built by developer Hardy Leung and released just a couple of days ago. Leung says the inspiration for the app is Wordle, a word cloud generation tool we’ve covered once or twice in the past. Well, good news for Leung: even Wordle creator Jonathan Feinberg, who recently left his regular job at IBM Research to go work on Google Books, says Tagxedo is not so much an alternative as the next generation of Wordle, and a “leap forward” in both the layout algorithms and the design of the tweaking interface. 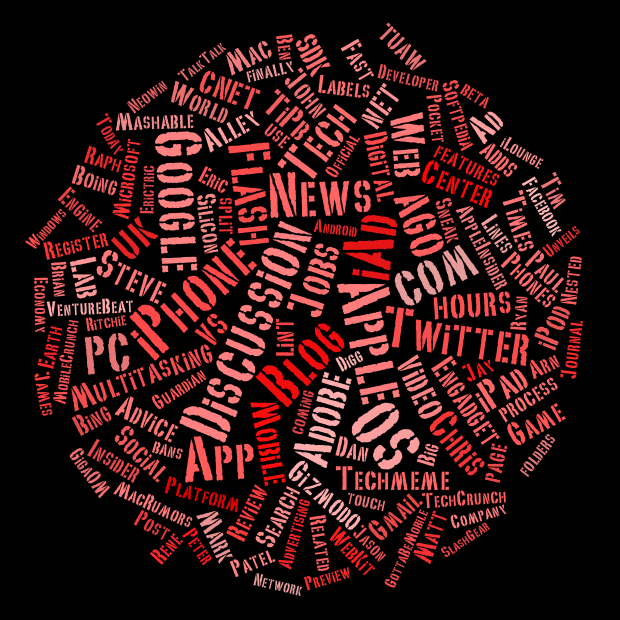 I concur – Tagxedo’s downright amazing. You can use the app to create visually stunning word clouds like the ones I embedded in this post by inserting words (e.g. speeches, news articles, letters, slogans, themes, and so on). You can do so by uploading a document, entering a URL or simply by pasting text into the appropriate field. Tagxedo will size words appropriately to highlight the frequencies of occurence within the body of text, leaving out small words like “is”, “are”, “do”, etc. With just one click, you can rotate the cloud, modify its colors and font, and also alternate between themes and shapes as you please. You can even upload your own images and have the word cloud assume the shape of the image (e.g. Twitter), although Leung admits that the quality of the end result depends a lot on which images gets uploaded, as it’s a very complex process. You can save word clouds as images at will (in pretty high resolutions, even), and Leung says a button to print directly from the app is in the works. While in beta for a limited time, the application will remain completely free, and even when it won’t be in beta any longer Leung promises that a lot of the functionality will be preserved in the basic, free version. Hurray! His longer explanation on the choice for Silverlight can be found in the FAQ section. 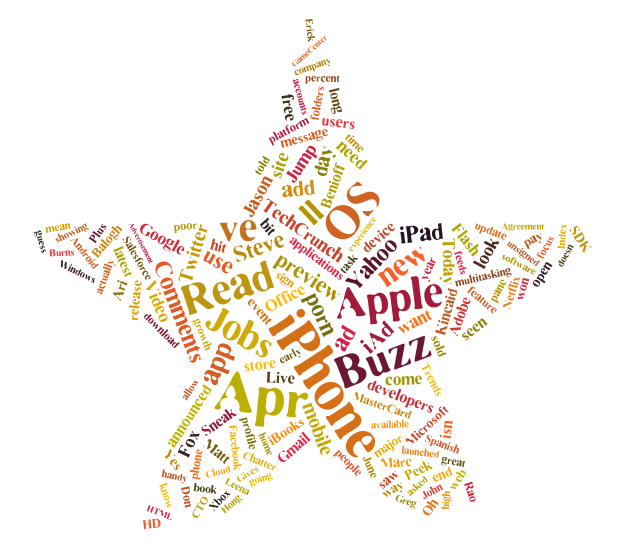 On top is the word cloud for TechCrunch.com – can you guess where this one is coming from?